Director Doris Difarnecio (left) and playwright and actor Petrona de la Cruz Cruz (second from left) participate in a Q & A after De la Cruz Cruz’s performance Tuesday. Bits of pine needles were scattered across a minimalist stage and small candle lights flickered. In the center, a table with fabrics was set for award winning playwright and actor Petrona de la Cruz Cruz’s recent performance of her play, Bittersweet Dreams/Dulces y amargos sueños. Students and faculty filled nearly all of UC Santa Barbara’s Studio Theater to watch the performance. The play deals with difficult topics such as sexual assault, which both de la Cruz Cruz and director Doris Difarnecio discussed in a question and answer session after the performance. “Theater has brought me so many places and because of this, I know that my path has many less thorns and stones, and many more flowers,” said de la Cruz Cruz. The visit was organized by music, theater and performance arts professor Ruth Hellier-Tinoco, who designed a course titled “Theater and Performance in Mexico: embodying, resisting and subverting stereotypes focusing on power relations, gender and sexuality,” and was teaching de la Cruz Cruz’s first play Una Mujer Desesperada [A Desperate Woman] to her class. Hellier-Tinoco had realized that the translator of the play was her former colleague, Shanna Lorenz, a music professor at Occidental College. Through this, she was able to bring de la Cruz Cruz and director Doris Difarnecio to UCSB. Playwright Petrona de la Cruz Cruz performs at UC Santa Barbara. De la Cruz Cruz established herself as a playwright while traveling to Toronto, Canada to participate in the Second Annual International Women Playwrights Conference in 1991. In 1992, she was awarded the prestigious “Rosario Catellanos” prize for literature. 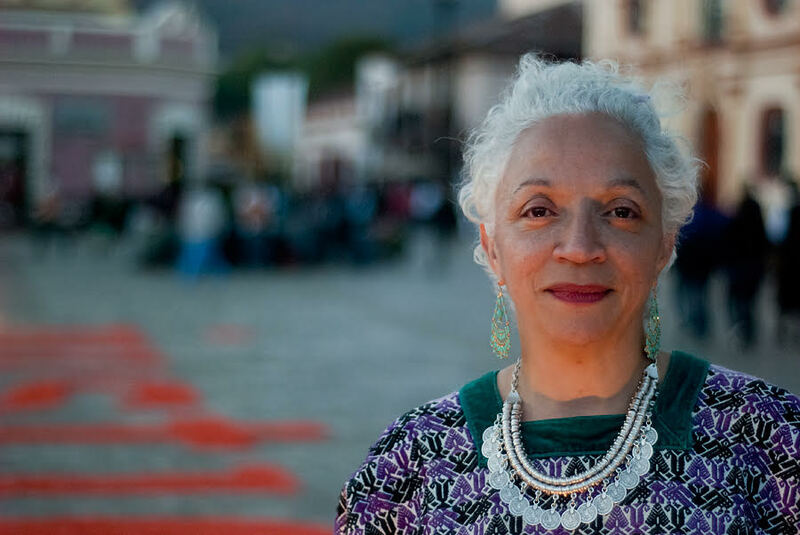 De la Cruz Cruz also co-founded FOMMA (Fortaleza de la Mujer Maya), an organization that uses theater and puppetry to support Indigenous women. While working with FOMMA, she wrote, directed, and performed in over 20 plays about the lives of Mayan women. This performance, a semi-autobiographical monologue, tells the story of a young girl living on the outskirts of a small town in Chiapas, Mexico, with her parents. At a young age, the girl was kidnapped and raped by a man her father knew. She later finds out that she is pregnant by the man who sexually assaulted her. Audience members described her performance as moving and powerful. De La Cruz Cruz wasn’t originally interested in theater, but became involved after her aunt gave her an opportunity to study while she took care of de la Cruz Cruz’s son. Her cousin’s boyfriend later informed her that auditions for a play were being held and that she could get paid 150 pesos per week for it. “I wasn’t thinking about theater then,” said de la Cruz Cruz, who only auditioned so she could earn money to raise her child. After auditioning, she got the lead role of a young woman who is murdered by her family members. “This was the story of my life - my mother’s life,” she said. It was a story that resonated with her deeply. Eventually, she decided she wanted to tell her own story. Doris Difarmecio, director of Bittersweet Dreams/Dulces y amargos sueños. In a collaboration with Difarnecio, whom de la Cruz Cruz met while working with FOMMA, she worked to bring this monologue to life. “I knew that Petrona wanted to write her life story and it was a very difficult subject to perform. She would talk and sometimes, we had to take a pause because she was too close to the trauma,” said director Difarnecio. But after a year, the play was finally ready. Difarnecio shared her own experiences with sexual assault in her life in an interview with Humanities and Fine Arts. “Part of the process was learning that my mother was raped, and healing through hearing Petrona telling her story,” she said. 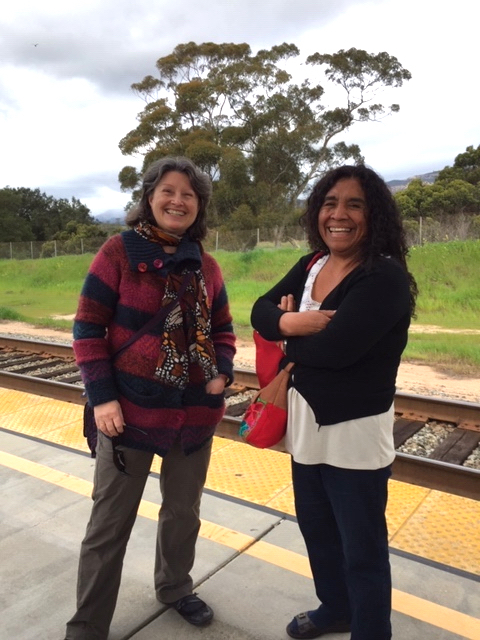 Ruth Hellier-Tinoco (left) and Petrona de la Cruz Cruz (right) at Goleta Train Station.